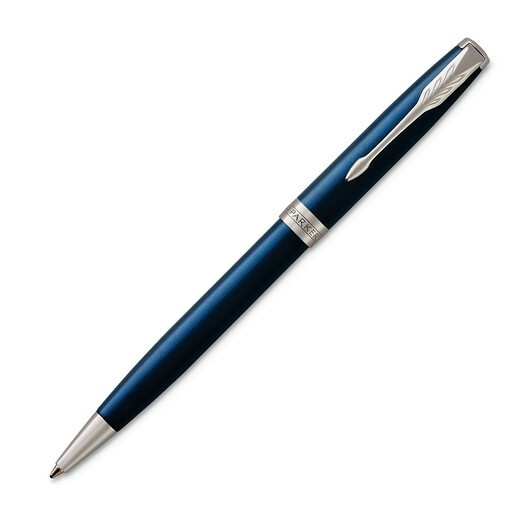 A beautiful blue pen with elegant silver trim from Parker. 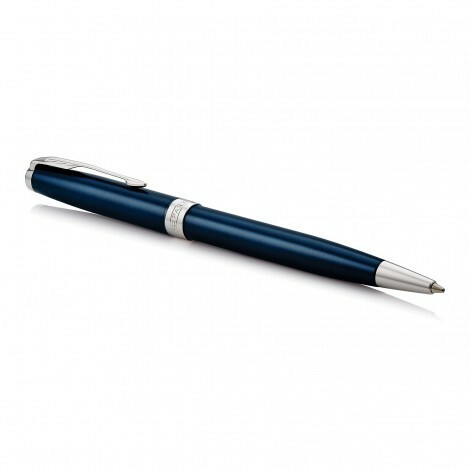 Beautiful in blue, these Parker pens are an elegant writing instrument that you will come to love. Featuring a stunning chrome trim they look fantastic with a print decoration on either the cap or upper barrel. 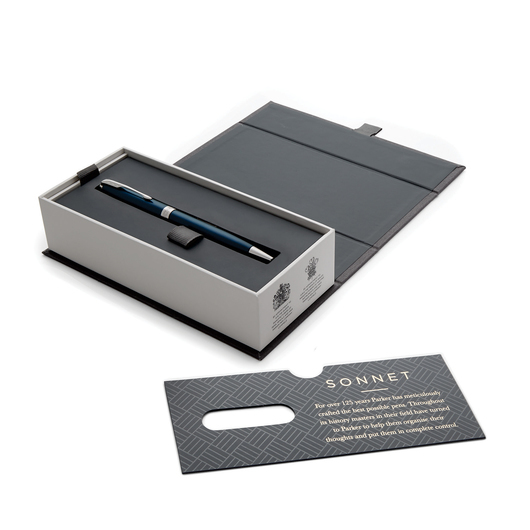 They have a twist-action, retractable ballpoint mechanism and use high quality blue ink.